eight × = forty eight Required Please enter the correct value. Good morning! Stock market futures indicate a market open higher than yesterday's close. The markets are waiting for the beginning of the Fed Open Market Committee to begin its two-day meeting. After the recent market slip – down 6.8% in less than one month – the big question this week is will the Fed extend QE3? 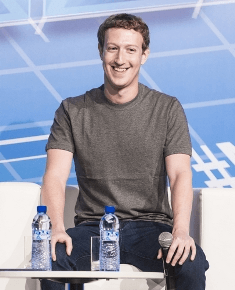 The most important number to watch today – besides the Dow – is the earnings report from social networking giant, Facebook Inc. (Nasdaq: FB). Mark Zuckerberg's company will report third-quarter earnings after the market closes at 4 p.m. The important figures from the earnings report will center on the social media giant's results from its mobile business. Facebook has been shifting its business focus to mobile apps and devices from laptop and desktop computers. Dividend Hikes: Multi-national energy giant BP Plc. (NYSE ADR: BP) is under heat after a new report indicates that the Deep Water Horizon spill of 2010 left a Rhode-Island-sized ring of oil on the floor of the Gulf of Mexico. But that didn't stop the company from hiking its dividend to $0.10 per share after posting overall profits that were in-line with Wall Street expectations. BP Plc. is yet another company to increase its dividend payout for interest-seeking investors. Click here to see a list of 35 companies that increased their dividends within the last week. Mum on Mergers: Shares of Pfizer Inc. (NYSE: PFE) were up more than 1% this morning on news that the company bested third-quarter earnings expectations. The pharmaceutical giant reported per-share earnings of $0.42, beating analyst estimates by $0.03. The company cited growth in sales of its cancer treatments and cited increased demand in emerging markets. However, the company remained mum on any pending mergers or acquisitions. The company tried multiple times and failed to purchase its U.K. rival AstraZeneca Plc. (NYSE ADR: AZN). Twitter Troubles: After the bell yesterday, shares of Twitter Inc. (Nasdaq: TWTR) plunged more than 13%. The company reported that its quarterly revenue figures beat Wall Street estimates. However, the company said that its fourth-quarter sales may not meet street expectations, and it reported that its user growth rate declined for another quarter.